Marshall ENT & Allergy has been providing ear, nose and throat care to the people in the Marshall county area since 1978. 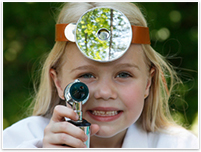 We specialize in diagnostic and surgical services for children and adults. Our goal is to provide quality, individualized care to each patient. Maury B. Bray III, M.D.